by Matt Towery: While politicians have hacked and sloughed their way through the issue of illegal immigration, one sheriff in Atlanta has taken matters into his own hands by doing what the law already allows law enforcement to do -- begin deportation proceedings against illegal aliens who are charged with crimes. 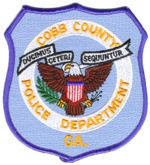 Cobb County is a large, upscale and well-run county just north of the city limits of Atlanta. . . .
Sheriff Warren's team is doing the one thing that every law enforcement agency in America could and should be doing, taking advantage of the existing laws and programs that could have an immediate impact on illegal immigration throughout America. Cobb County sheriff's deputies have been trained by federal immigration officials as to what to look for and how to examine documents in order to determine whether someone arrested and placed in their custody is a legal resident. . . . The difference is that Sheriff Warren is taking the opportunity that federal law also provides. He and his department have started to initiate, on their own, deportation proceedings once a determination is made that an individual in their custody is in the United States illegally. In the four weeks since the Georgia county began its new program, removal proceedings have commenced against 42 individuals who either committed crimes or were pending trial for a lesser offense. Those who commit serious felonies are held for trial first, with the issue of deportation to be dealt with after their case is concluded. It's important to note that the county works with federal officials, and that federal immigration officials must review the case before it goes before a judge. In other words, this is not fly by night justice. . . .
Sheriff Warren is not alone in dealing with the illegal immigration crisis. . . . jailers throughout the nation have identified some 20,000 illegal immigrants using cooperative agreements with federal enforcement officials. How many actually initiated deportation procedures is unknown. Regardless, that number is just a drop in the bucket. The fact is that most sheriffs and police departments in America have not gone to the trouble of obtaining federal training, much less have they taken the additional step of initiating deportation proceedings against those who are illegally in the country -- which in and of itself is breaking the law -- and then violate the law while illegally here. One reason we don't see a nationwide run on such tight enforcement is, big shock, Washington hasn't provided enough funding to educate every local law enforcement agency, nor has money been appropriated to handle the deluge of deportations that would occur should every sheriff or police chief decide to follow the lead of Warren and others who have implemented such aggressive programs . . . [Read More] Thanks to Keep Arkansas Legal for putting on the trail to find the article. 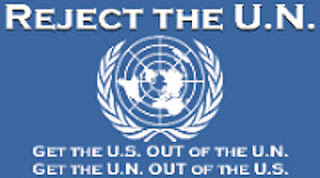 Tags: illegal aliens, illegal immigration, immigration, rule of law To share or post to your site, click on "Post Link". Please mention / link to the ARRA News Service. Thanks!